Gingersnaps are such a classic Christmas cookie. I have to admit though, I didn’t grow up eating them and only made them for the first time last year. My husband on the other hand, had these every year and his mom always made multiple batches. I knew I wanted to recreate them and I am so happy with the result! 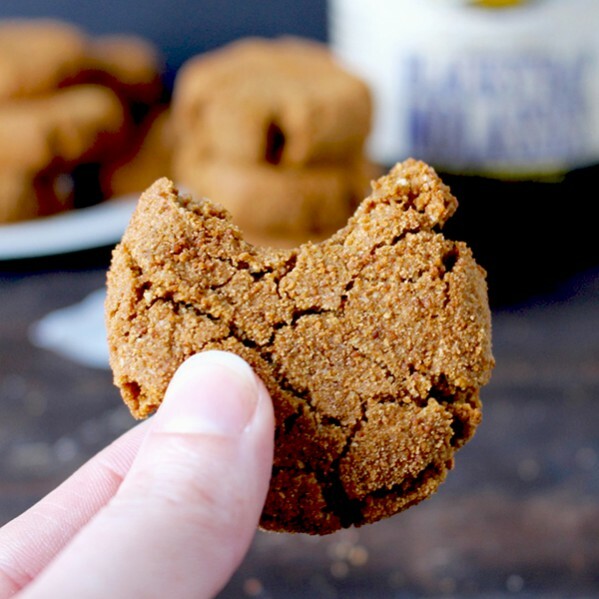 My husband is eating these paleo gingersnaps every chance he gets and goes on and on about how good they are. That does my heart good knowing I am remaking something so special to him. 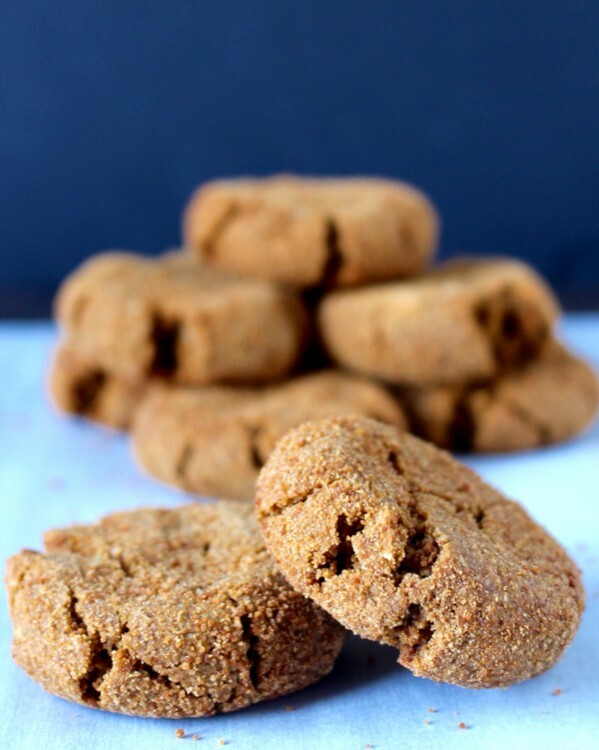 Because they are paleo gingersnaps, that makes them dairy-free, gluten-free, and refined sugar free. You will not miss any of those items though, I promise! 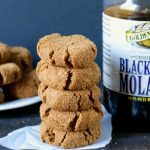 The Golden Barrel Coconut Oil keeps them moist, the coconut sugar keeps them sweet, and the molasses and ginger give them that slight spice. They are so easy to make and mix up in one bowl in just minutes. They are small, but that means you can enjoy a few. I tried making them bigger but the texture was better with the small ones so I stuck with that. I think they are so cute and just the right size for a small treat. They are thick, chewy, and just the right sweetness. 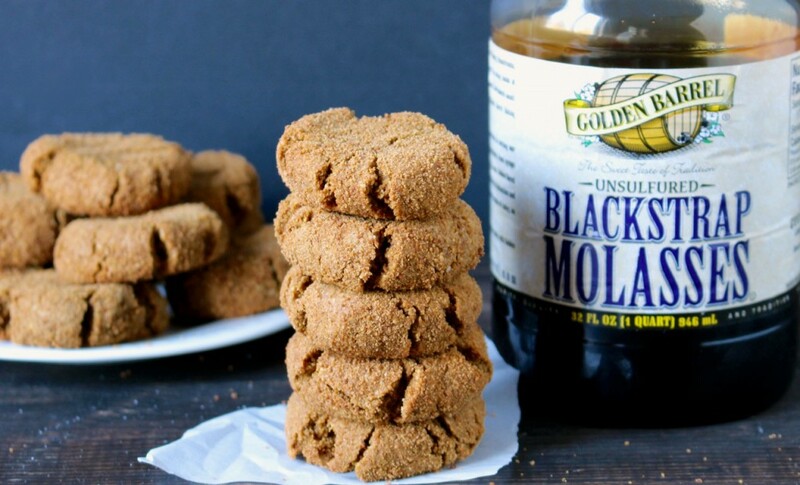 The ginger and molasses are the stars of the show here and Golden Barrel Blackstrap Molasses truly delivers. It is loaded with flavor and richness and gives that signature flavor. 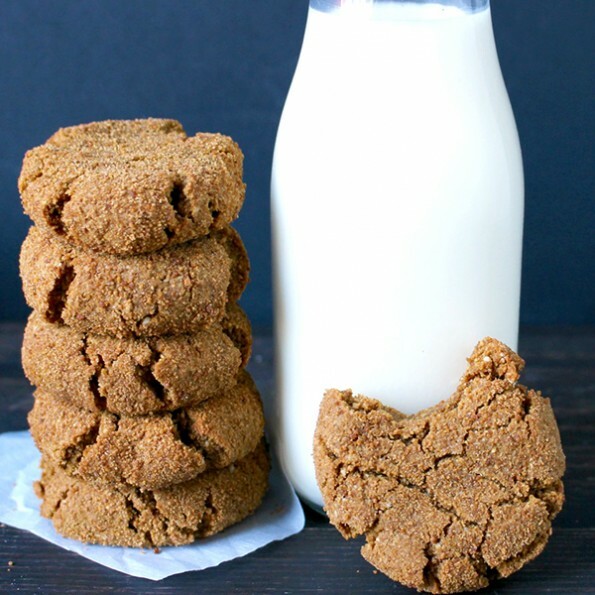 It pairs perfectly with the ginger to make these cookies exactly like you remember as a child. They are slightly crunchy, yet chewy in the center. They bake for 15 minutes which is longer than I usually bake such small cookies, but they need to be cooked through and not underdone at all. They have that crackly top that is iconic and the light dusting of sugar on the outside- you will love everything about this cookie! You will love this healthier take on the classic holiday cookie! So easy and just as delicious as the original! If you have any questions about the ingredients to make the paleo gingersnaps or where to find the ingredients, let me know and I’ll be happy to answer them for you. In a large bowl, combine coconut oil, sugar, molasses and egg. Add in the almond flour, coconut flour, ginger, salt, and baking soda. Stir until completely mixed. Scoop into 2 tablespoon balls and roll in additional coconut sugar. Place 1-2 inches apart on the cookie sheet and bake for 12 minutes. Remove them from the oven and gently press down so they are slightly flattened. Return to oven for 3 more minutes. Let cool on the cookie sheet for a few minutes before transferring them to a cooling rack. Hi Jessica! My kids are allergic to nuts, any substitutes for almonds? Can i just use gluten free flour? Or buckwheat? Thanks!!! Hi Mara! I think a gluten free flour would work great. I’m not familiar with buckwheat so I can’t say on that one. I hope you try them. Hi! I just tried making these cookies for a second time and I substituted 1 cup of Namaste Gluten Free AP flour for the 1 1/2 c almond flour and they turned out fantastic! I also used a flax egg since there’s egg allergies in my household. It worked great! The first time I made these it just wasn’t quite right, and a little on the dry side. I think they could have done without that last three minutes in the oven. Possibly a flax egg translation issue?? This time I flattened them to start with and only baked for 13 minutes. I also have the same issue with batch size. I use 1TBSP scoops and I only am getting about 18 cookies. Oh well. They’re 18 delicious cookies!! ? Thank you so much for the great feedback, Donica! How helpful! Glad you enjoyed them! Donica and Jessica….would the fact that you are only using 1 cup of flour have to do with why you are only getting 18 cookies? Also, I want to double check…2 tbsp balls? That seems like an awful lot of dough for a cookie you are referring to as a “small” cookie. Is that right or should it be 2 tsp’s? How about a substitute for the egg? Have you tried a chia egg or flax egg? Having to eat egg-free is so frustrating! I am so confused. I am making them as we speak. I made them in 2 tablespoon. Size balls but they only make 13. I used a 1 tablespoon scoop. Used two of them for one ball then rolled them in the sugar. Now I am not sure how long to bake them. No one else posted this problem am I just stupid ? Hi Debbie! No, you’re not stupid!! I would start with 15 minutes and see how they look. If they are bigger than mine than they may need a couple additional minutes. I don’t think they would take more than 20 minutes. Your best bet is to just watch them and see. I’m sorry I can’t be more of a help. I hope they turn out good still! Like Debbie I used 2 tablespoons for each biscuit and I only have 10. I have no idea how this recipe could make 23 biscuits if each biscuit is 2 tablespoons big! I really hope they still turn out well, though. Hi Ashleigh- sorry you’re having the same issue! I hope they still turned out good. Thanks for trying my recipe! Can I used regular sugar? I can’t seem to find coconut sugar. Made these today. Very good!! I’ve been watching Hallmark’s Christmas in July movies and these hit the spot in so many ways. Thank you! You’re welcome, Kristin! I’m so glad you like them! Sounds like the perfect treat for Christmas movies 🙂 Thanks for trying them! 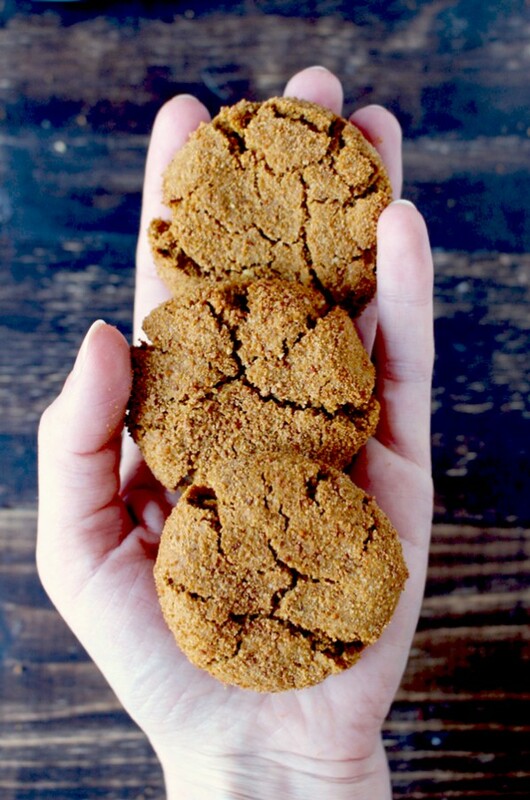 These ginger snaps are the cat’s meow! They are so good. Just sweet enough, plenty of ginger flavor. Very good and highly recommend. Loved them! Mine only made12.. Do you have a calorie count? Hi Nancy- I’m so glad you loved them! It sounds like you made them a little bigger and that works, too. I don’t have a calorie count, I’m sorry! Wow! I made these tonight, and dare I say it? … These are now up there on my favorites with my beloved snickerdoodles. These are spicy, salty, warm…crispy outside & chewy center as promised. I followed recipe exactly; However, I only came out with 16 cookies (using my 2 Tbsp. scooper). No matter. Not changing a thing! Perfect for a cold, December night. Thank you! Thank you so much for the great feedback, Kim! I’m so glad you love the cookies! You’re welcome and thank you for trying them! I tried these today and felt like the mixture was too dry? I followed the directions and making the balls they wanted to fall apart and the finished cookies weren’t sticking together very well. Tasted pretty good? Hi John- I’m sorry they didn’t turn out for you! Next time you could try reducing the coconut flour by 1-2 tablespoons or increasing the coconut oil by 1-2 tablespoons. Thanks for trying them! 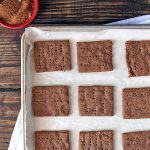 Made these for Christmas Eve for the brave folks trying to tackle “Whole 30” over the holidays – We know coconut sugar is still sugar, but worth the indulgence – THEY ARE AMAZING! Followed the recipe to the letter and the snaps turned out perfect. In fact, they were so good, no one wanted to believe they are paleo friendly! Has anyone calculated calories? If so, please share! Thanks, Mama Calle! I’m so glad you loved them! I don’t have a calorie count on them, but there are many places online you can figure it out. Thanks for trying my recipe and for the great feedback! Hello! 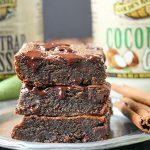 I’m wondering if I can replace the coconut sugar with Erythritol? These look awesome! Thanks! Hi Mel- yes, that should work fine. I hope you enjoy! Thank for for trying my recipe, Sue! I’m sorry the bottoms burned. Is your pan old and dark? I know that can make a difference. If so then I recommend buying a new one. If that’s not the case then maybe try reducing the temperature and baking them a little longer. I hope that helps. Hi K- yes, they freeze great. Enjoy! 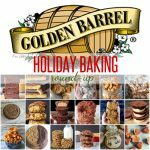 I have tried batch after batch of cookies, of all makes and flour models and they literally have all sucked. I got a wild hair tonight, looked up paleo gingersnaps on Pinterest and your recipe popped up. I had everything on hand so I went for it. I doubled the batch and did ping pong ball sized rolls then did exactly the 12 minute, flatten-then 3 minute deal. PERFECTION!!!!!! My only successful batch of cookies ever!!!!! That’s saying quite a bit given that I’m 42 years old LOL. I’m a great cook but for whatever reason cookies have eluded me…..until tonight! THANK YOU! ?? Any idea how many carbs would be in these cookies? Hi Rita- I don’t know because I don’t count calories or carbs. There are many places online (like My Fitness Pal) that can help you calculate that if desired. Hope you try them! 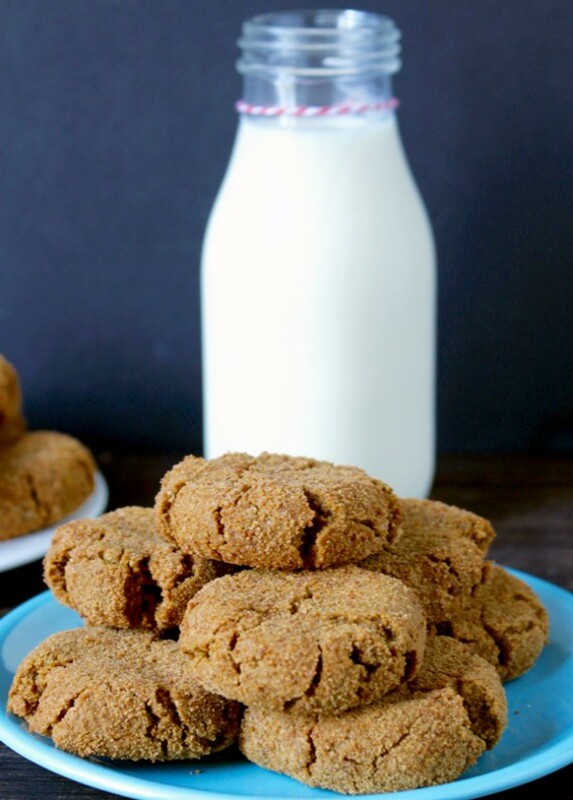 I love gingersnaps & will bake these for me since I can have sugar, but my son cannot. He can have Real Stevie for sweetning, coconut flour, & coconut oil but not the molasses. He is trying not to get diabetes w/ his high blood sugar. I cannot think of a substitute in less I just make plain vanilla. Do you have a whole 30 sugar cookie? Hi Virginia- I don’t have a paleo cookie recipe. I have a vanilla wafer recipe but it uses honey so that won’t work. Maybe reduce the molasses to 1 tablespoon. Each tablespoon has 9 sugars and spread out between all those cookies it should be ok. I hope that helps! Let me know if you have any other questions. Hi Teri- I think that would work great. 1/4 cup is only 1 more tablespoon. I think you could add that without changing the recipe at all. If you wanted to add more, like 6 tablespoons, then I would suggest reducing the coconut oil by about 1 tablespoon. Just to even out the dry to liquid. I hope that makes sense. I hope your son enjoys them! Hi Rhonda- I don’t calculate nutrition facts, but you can put the recipe into My Fitness Pal and it will give you all that info. Hope you enjoy! 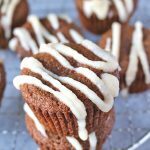 Hi Patrina- I don’t calculate the nutrition facts for any of my recipes, but you can use a site like My Fitness Pal to figure it out if you want. I hope you try them! Hi, how long do these cookies stay fresh? Wanting to mail some for the holidays but wondering if they are best eaten sooner. Thanks! Hi, I wanted to say that the cookies were dry, so I added in another egg, and some almond milk. They came out very crumbly, but delicious. Any way to make them stay together? Thanks! Hi Sarah- thanks for trying my recipe! I’ve never had them be dry, but my suggestion would be to reduce the coconut flour to 5 tablespoons. See if that helps. I hope you try them again. I just made your cookies with my son yesterday (he’s soon-to-be-four) and we had the best time making these. We whipped the egg/sugar mixture for about two minutes, because using a hand help mixer is fun when you are little and I just wanted to make a fluffy batter. I grew up with ginger snaps were my favorite as a kid and so I looked up my childhood recipe and I always used cloves and cinnamon with the ginger, so I added one teaspoon of cinnamon and 1/4 teaspoon cloves. I didn’t have coconut flour in the house so I used organic can sugar. I also added 1/4 teaspoon baking powder. I don’t know…I have this weird thing with baking powder and soda needing to go together. I should look up why I do that. Anyways, I used a 1″ cookie ball scooper and all the cookies turned out gorgeous and delicious. There will be no need to use my old recipe. These were scrumptious, perfectly moist, yet firm. Thanks for sharing! You’re welcome, Naomi! Thanks for trying them! I’m so glad you and your son had fun making them 🙂 Thanks for the great feedback! I don’t like changing anyone’s recipe but this time I got all the ingredients out and to my surprise I had no almond flour…I had whole wheat so that’s what I used. It’s not great but better than white flour, I presume. They are delicious 😋. Looking forward to making them again with almond flour. Thank you. You’re welcome, Katie! I’m so glad like them. These are delicious! I used the small pampered chef cookie scoop and got 34 cookies at 50 calories a piece. Pure Christmas yumminess! Thank you! You’re welcome, Denise! Thanks for trying them and I’m so glad you like them!